My first Featured Find of 2014 is a terrific one! Elegant yet comfortable. Classic. This beautiful little settee (or loveseat) is probably from the 1950’s or 1960’s. The lines on it suggest Louis XVI style (straighter lines and neoclassical elements – not as “curvy” as previous Louis styles). The plush down cushion and pretty silk upholstery make this a luxurious little sofa. It is a perfect size for a bedroom or as a loveseat in a living room. It measures 59″ long and is approximately 28″ deep from front to back. It is 35″ tall at the center of the back. The upholstery is in beautiful condition (there is a tiny, light spot that is barely visible – I can provide closer photos). I love the look of this (very similar!) loveseat at the end of a bed. I’m not sure I would ever leave this room! 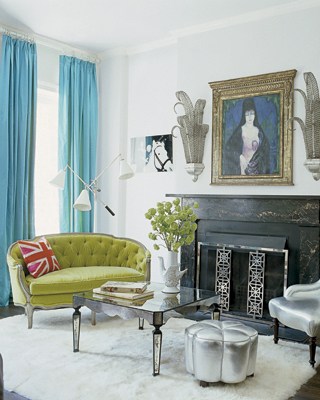 A bright solid color makes the loveseat a bit more bold. You can mix the classic lines of this settee with more modern pieces for a fun, eclectic look. 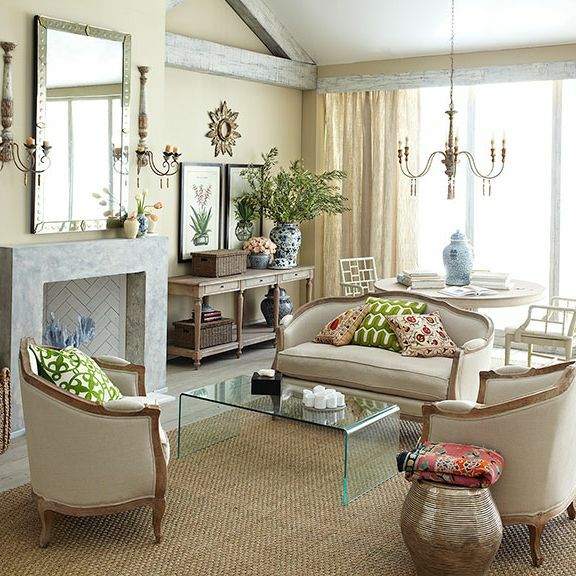 I love this room – the glass waterfall table and fun pillows mixed with the seating make this room interesting. The damask fabric is bold and unexpected. Another example of fun and modern fabric on a vintage loveseat. Where would you use this pretty little loveseat? If you have the perfect spot, it is available in the Pursuing Vintage Shop. Oh if I only had a spot for that…. Sweet! Love the idea of a bold graphic fabric on this. You find great things, Kristen! 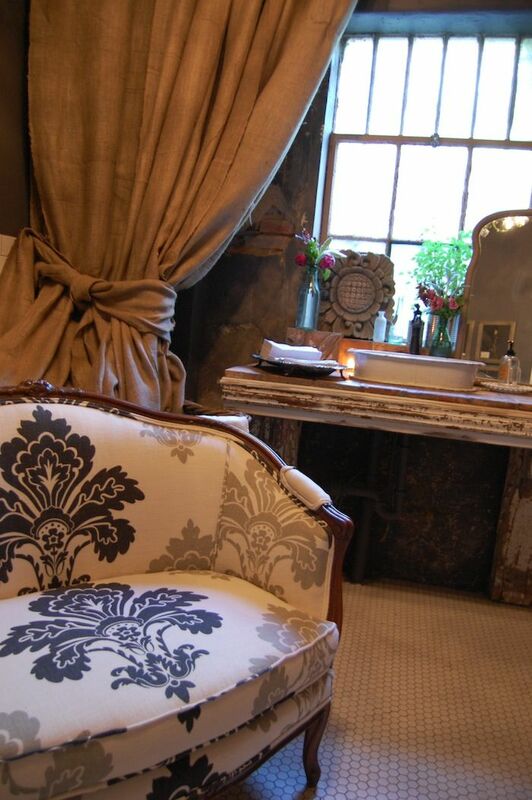 What a terrific find, and I just love the first inspirational bedroom image…gorgeous!